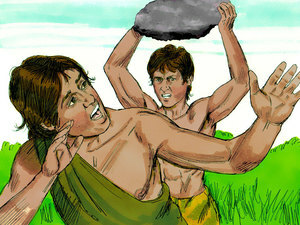 The famous bible verses about Cain and Abel are about jealousy. Cain was angry because God blessed Abel's offering but not his. 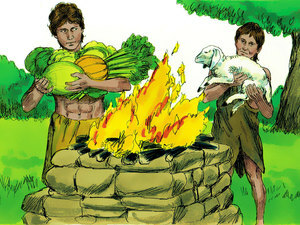 The story of Cain and Abel is about the first murder. it shall not henceforth yield unto thee her strength; a fugitive and a vagabond shalt thou be in the earth. In the story of Cain and Abel we see how quickly sin took hold, but praise god for John 3:16, and God's great gift. Click here to read about the Daily Services needed for forgiveness fo sins and the Day of Atonement.